Born in Umkhumbane near Durban, Sibisi was raised in the township also known as Cato Manor where, still in his first year since birth, he became further entangled in race riots arguably covertly instigated by the apartheid government. The website South African History Online reports on the spate of violence between Indian and African residents of the township in 1949, in clashes that were nurtured into a series of lootings and assault which led to the death of 137 people, and several thousand critically injured. In the year 1958, the young Paul Sibisi undoubtedly felt the chaos and confusion accompanying the enforcement of the Group Areas Act. In Cato Manor, it took on the form of an entire population dislodged and uprooted, forcibly relocated to the townships of KwaMashu, Umlazi and Chatsworth, to be corralled in greater proximity to apartheid industrial sites. At the age of ten, Sibisi was at the epicenter of massive forced removals, experiencing first hand, in the most empirical and visceral of ways, the traumatic complexities of the repercussive violence of just that one abusive Act. Growing up in a township in KwaZulu-Natal, Sibisi became part of the generation first dealt the full cumulative brunt of apartheid, born into it, literally, trusting and unarmed. During those formative years, around and within him, Sibisi saw the ANC’s resistance movement embark on systematic campaigns of civil disobedience, feeding the defiance campaign and nurturing the seeds of a fledgling armed resistance. First a witness, because of the phase of his development – as a child – he also became an inadvertent participant to the nature of this period; of an abuse enacted on every imaginable level and on levels still to be described. The young Paul Sibisi was both witness and participant to the living nightmare that was apartheid rooting itself, parasitically, into the backbones and psyches of African people. Fortunately, also in the 1950s, the young artist found himself within a time of rapid evolution of an African modernity steered by Negritudinist philosophies and the Pan-African movement. It was a modernity that still today continues to be discrete, in many ways, from its western counterpart. As the contemporary finds itself again now, back then in the 1950s a young Paul Sibisi found himself at the very forefront of a black politics that put in practice radical strategies towards African independence. Sibisi started his primary school in 1954, the year after the Bantu Education Act of 1953 was promulgated. Its function was to curb education for black South Africans, in preparation as cheap and unskilled labour. 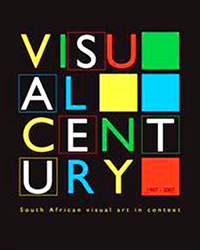 Thus the removal of visual literacy from Bantu education – in compliance with apartheid strategies, policies and procedures – was part of a systematic attempt to decouple the sense of sight from the ability to act upon these visions. For a young Sibisi, just about to embark on his schooling, the Bantu Education Act proved a significant and debilitating deterrent to his growth as an artist, curtailing access to materials, tools and knowledge required to manifest his critical observations about his increasingly bewildering world. Documentary photography established its value in South Africa in the 1970s and, by the 1980s, had grown into a form of critical social action against the apartheid state. This – effectively a biomechanical amalgam of technology and the organic – bestowed upon photographic images of civil unrest, anger, police brutality and a murderous army the power to shape the story and path of apartheid. In defiance of the apartheid clampdown on visual depictions, photographers – steered by the necessity to find politics in the everyday – began to expand their planes of focus into situations of social upheaval. Action photography was one way to capture the quickening upsurge. The photograph – an object already subversive in its mere making – became the photograph as action, as mode of resistance. It became irrevocably entangled with the time and place of its creation. Compositional elements began to further define the genre: the framing device of the crop, wielded as an editor’s tool, communicating the photographer’s voice. (It is this delimitation, presented by the frame, that many artists maintain is a requirement for creative advancement, and for advancing the narrative agency of the image). 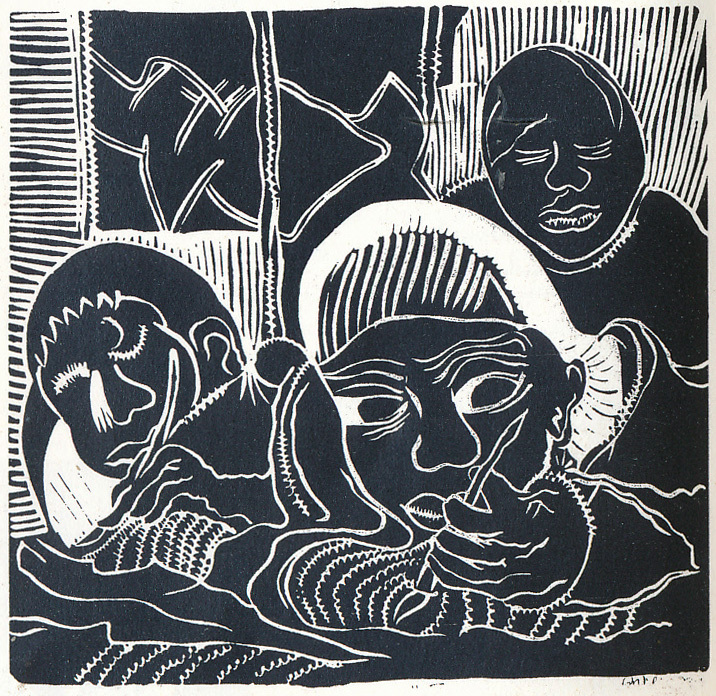 It was during the late 1970s and early 1980s that Sibisi’s interest shifted away from linocuts, and towards a pen and ink wash more suited to his contemporary engagements with the visual language of a social documentary photograph. Finding its way into a public sphere in spite of apartheid’s increasingly stringent embargoes on production and distribution, it was within its boundaries that Sibisi found a synthesis of creative and political imperatives. By producing paintings in the language of resistance photography, he found his subjects and situations in the life around him. 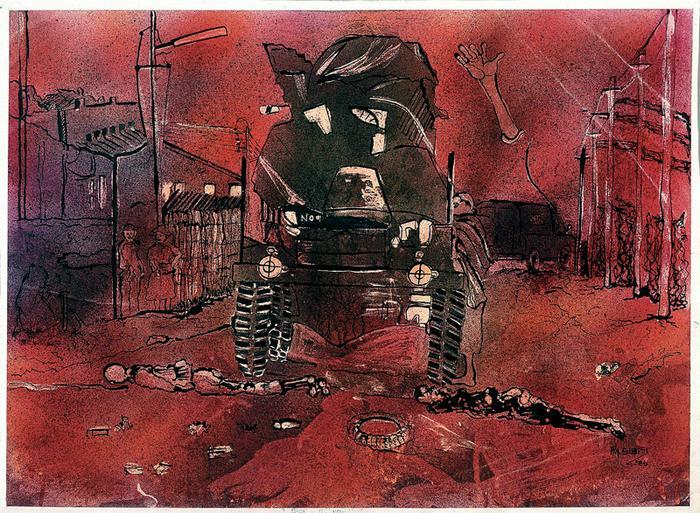 A pen and ink wash series of paintings on paper titled Umzavela Unrest – exhibited in a solo exhibition in 1981 at Durban’s African Art Centre – demonstrated this approach. Viewpoints are low, as if the artist were on the ground, as photographers sometimes are (undoubtedly more so than painters). It was Sibisi’s practice, and that of his contemporaries, which initiated a new form of African cultural production, divergent by a generation or more from a visual practice that Xakaza describes in his study of the “pioneer” period of KwaZulu-Natal in the 1920s and 1930s. 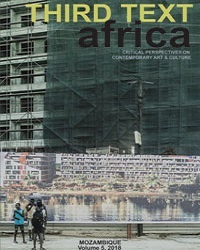 The republishing of the book in 1987 was an indicator of a new cycle of growth in African intellectual and political agency within a field of multiple epicentres. One of these was Paul Sibisi’s interaction with Biko’s contributions to black consciousness. 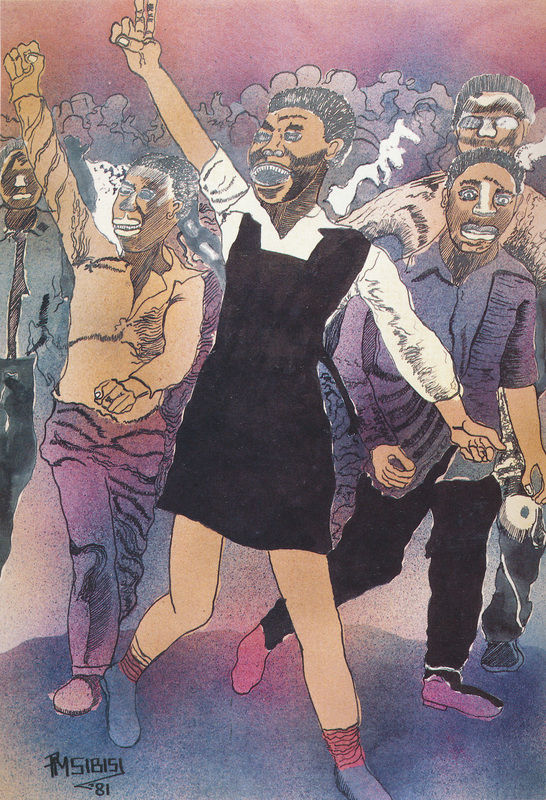 Gabi Ncobo, in her text on Sibisi in the 2006 catalogue to Revisions, writes that “political activism became a primary focus of his work”, introducing intention as the vital third component of protest art that, when in combination with artist and situation, collectively manifests as an agent of revolution. 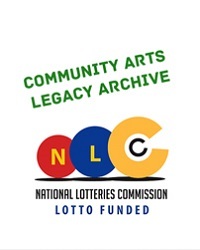 In 1986 a pamphlet titled To All Organisations and Cultural Workers was one indicator of a decade where South African visual artists, through their practices and associations, became fully subsumed into human rights imperatives. Cultural sanctions were part of the arsenal, as were boycotts by the international arena, including the international cultural boycott imposed by the United Nations in 1980. In solidarity, Paul Sibisi refused to exhibit at the race-based 1981 Republic Art Festival, staged in celebration of the 20th anniversary of the Republic of South Africa. This decision vaulted him into an ideological tryst instigated and fuelled by the apartheid government as another particularly divisive strategy to divide the enemy into resistors and collaborators. The works of art from this period are acts of protest on very many levels, and it is from within this practice that Mnyele reads painting as a form of political resistance, and considers protest as forms of expression. 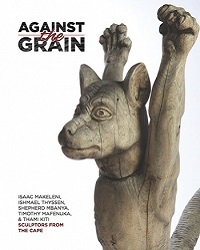 Through this lens of an activist artist is located also the cultural production of Paul Sibisi and his contemporaries, where the production of their work were acts of evolution. Stop it now!! Now!! Is the name of a painting by Paul Sibisi. Before giving way to the aforementioned inquisitive sense of the visual, here is a pause to note its exclamations in tandem repeat; a double underlining that works like a drum beat would, imparting to the words a vocal urgency. It is a phrase that defies immediate comprehension. It may be a warning cry, or of pleading; it may be a command. The colour palette of Sibisi’s ink on paper painting is tight; restrained within a trinity of black, white and red. Bleeding in upon the scene, encroaching from beyond the paper’s edge, as if spreading, is a purple stain, an unholy amalgam of red and shadow blue – a bruise. Together, these colours record a community cut to pieces in a fever of destruction and death. The artwork, completed in 1986 and measuring 55 x 75,5cm, shows a township on fire. A Casspir – the mine-resistant ambush protected apartheid vehicle – disavows its way down a street trenched by dongas, cutting a lumbered, encumbered path through granular smog. It drives away from the viewer. In its wake are two dead bodies, trundled over by its receding tyres, ground into the ground. It might be that a single eye appears in the vehicle’s rear-view mirror, reflected back to the viewer. The observer – the viewer – is within the composition, complicit. Ahead is a second vehicle, smaller, a van that, although given angularity with an ink outline, is really just a black smudge, sinister in its approximation. It too drives away from the viewer, about to round a corner, about to disappear like a murderer in the night, and to dissolve into the mad incongruity of a burning blackness. The inked lines of lamp poles – glaring sentries down the one side – behave like markers of photographic perspective with a vanishing point that here, literally, vanishes into the poisonous billows of smouldering plumes. Under the then prevailing conditions of township surveillance, these floodlights are usually bright, intrusive, disorientating – invasive to the very core of residents’ circadian rhythm – as part of an overt strategy for, effectively, a large-scale programme of house arrests. However, in Sibisi’s painting, the floodlights are shrouded in a darkly poisonous air, their reach shrouded into shards of light, into glimmers of daggers. They become flares, as if to draw attention, without irony, to an emergency upon an emergency. The painting takes, as its brush strokes of ink outline, the colour black as a symbol with a history as varied as its associations. Black, as a colour and icon, possesses incredible accounts of meaning that oscillate through time. Shifts are in response to highly specific situations and come about through many different processes. A new meaning may come about as if transparent layers accrue, or sometimes as if opaque layers obfuscate by clouding, or wrestle for space, wedging in and displacing. Sometimes meaning may simply die out because of lack of application. Thus, for example, black was a term of oppression but is now a symbol of strength and pride. Black is a colour of mourning and death. Black is a state of mind; it is an identity; a multiplicity of identities. Black is the colour of the printed word. In the case of activist South African printmakers like a younger Paul Sibisi, black is the colour of a text narrated visually. In this painting of a township inferno, Sibisi uses black ink as a line, as an outline, to form the perimeters of composition. Thereafter the black ink, reapplied with an atomising spray and then washed away, darkens the scene, textures it, and the sky for example becomes a granular field, pixelated, pointellised into a charged, turbulent, tumultuous atmosphere. Under and over the black is the colour red – the icon of revolution, defiance, militancy, anger, political insurrection, and also the colour of corporeal mortality, of freshly torn flesh, of anguish and of blood.